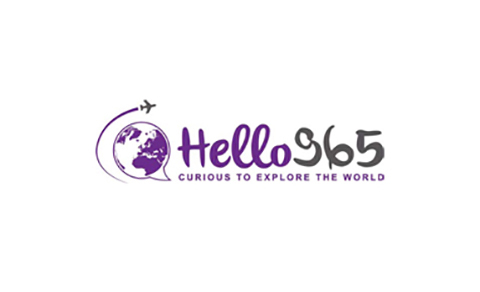 Hello965 is a travel blog run by Fatima, a female Kuwaiti traveler who is curious to explore the world. In Hello965, Fatima aims to shed light on untraditional or new destinations, hotels, resorts, adventures and even events around the world. Fatima loves diversity, from luxurious to lowbudget travel, group to solo traveling, and aspires to convey a diverse style of traveling to all her readers and followers through all her social media channels, blog, and newly in Kuwait Times. I do not recommend staying at a hotel in Cinque Terre – find a place nearby and go back and forth. Somewhere you could look to reserve a hotel and drive from is either Portofino or Santa Margherita. Keep in mind, a car is a good option to travel, but not so great option to drive within Cinque Terre. So renting a car would make sense if you’re stopping at other places too. Additionally, make sure you check with your hotel if they have private parking spaces where you could park your car for the time you’re there. The best months for walking are May, June, September, and the first half of October. July and August are best avoided if you don’t like the heat. The villages are starting from the northernmost one, Monterosso al Mare, Vernazza, Corniglia, Manarola, and Riomaggiore. Monterosso is about 1.5 hours from Genoa by train, and the closest city of any size to the Cinque Terre is La Spezia, just south of Riomaggiore, at about 15 minutes by train. You could also ‘hike’ from town to town. In order for you to do this, you have to carefully read about the trails and how to prepare for the hike and purchase the pass. There are three kinds of passes (trail only, trail + trains, trail + trains and ferries). For just a taste of the trails, I would suggest you do the section from Monterosso to Vernazza. It is 3.5 km long and takes a little under two hours. Monterosso is the biggest village between the five villages (cars driving in the village!) and the landscape isn’t vertical unlike the rest of the villages. Monterosso is made up of an old town, a new town, lots of sandy beaches, some larger hotels and a long seaside promenade suitable for strollers too. If you want to avoid stairs and have a more “resort” feel to your vacation, then you should stay here. Vernazza is the jewel of the Cinque Terre. Its action is at the harbor, where you’ll find restaurants, a bar hanging off the edge of the castle, a breakwater with a promenade, and a tailgate-party street market every Tuesday morning. For dinner, eat at a recommended seaside restaurant down at the marina. Ask to seat on the lower balcony. If the sea is rough you’ll be cooled off with sea spray. Perched on a rocky spur above the waves, Corniglia is the only village of the five not on the water and the least touristy of the Cinque Terres. In Manarola, go to ‘Punta Buonfiglio” which is a view point on a rocky promontory on the path towards Corniglia (Sentiero Azzurro). For dinner, you should eat at ‘Da Billy’. Bring your walking legs because it’s up the hill with a great view. They serve seafood. After dinner, head down to the local’s hangout with live music most nights. Train home, or if it’s open, take the walking path called Via dell’Amore. Walking the moonlit path above the swirling ocean is AMAZING. The most southern village of the five Cinque Terre. Have lunch or dinner at ‘La Lanterna’. If you’re staying for long maybe you could head to the beach for a morning swim. Finally, Be sure to “validate” your train tickets by inserting it into the yellow machine on your day of travel or you could risk a fine. To be honest, this is one of the few trips where I just hopped on a train, got out, walked randomly, back on a train and onto the next destination! It wasn’t planned at all. Everything we saw was beautiful, and everywhere we ate was delicious! Feel free to share your Cinque Terre experience with us!